The stock report’s purpose is to show those players that are putting up great performances and those who are not. Each one of the rising players is either coming off a bad week or have been gaining momentum each week. The crashing athletes are those that either fell off from an excellent performance or have been struggling this season and are someone you may want to keep an eye on for transactions. Jameis Winston completed 19-of-29 passes for 246 yards and five touchdowns with no interceptions in Sunday’s 45-17 victory over the Eagles. Not only was his five touchdowns impressive but he was the first rookie since Matthew Stafford and only the third rookie in history to do so. He wasn’t picky on who he distributed the ball to either. Four of his first half scores went to four different receivers. Mike Evans and Vincent Jackson were among those getting to participate in the party atmosphere. Winston not throwing a pick may have been even more impressive. Before the game, he only had a 10:9 touchdown to interception ratio. The success could probably be found in his decision management to make several of the difficult short-range and intermediate passes. 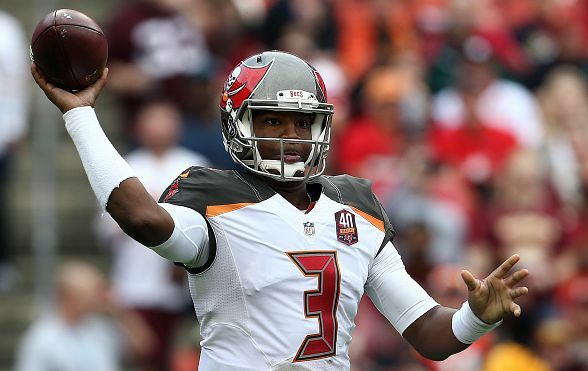 Winston also came into Philadelphia having thrown for one score in three prior weeks and having two interceptions. 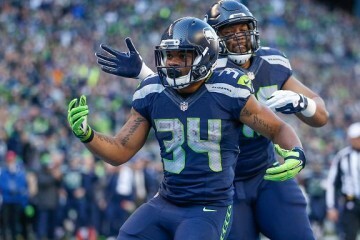 Thomas Rawls world just got a whole lot brighter regarding playing time. With Marshawn Lynch out for at least three-to-four weeks, it will be the Rawls show, and he has earned it. In three of his starts, he has rushed for 426-yards and three touchdowns. He didn’t let up last week against the 49ers, as he plowed over them for 209-yards and a touchdown. He also caught three balls for 46-yards and a score. He hasn’t done much in the passing game until now, but with a bell-cow workload, I expect those receptions to keep coming. His first touchdown was a 2-yard blast, and then he caught his other for 31-yards. He still may be out there, so try to hit the jackpot and pick him up. Eddie Lacy is probably the biggest bust in fantasy football this season. The early first-round selection had up to two weeks ago done nothing. In a three-week run starting against the San Diego Chargers, Lacy had 20 attempts for 51-yards and one touchdown. He hit an all-time low against the Panthers as he had just five carries for 10-yards. But that was two weeks ago, and here we are after two games of just ballin’ he has started to awaken the senses of the owners. Against both Minnesota and Chicago, Lacy had 205-yards but is still waiting to plunge it in from the ground. He also has added five receptions for 40-yards and a touchdown. Whatever injury, issue, or problem Eddie Lacy may have had, its now over. J.J. Nelson is someone you should keep an eye on. With the passing game in Arizona and Carson Palmer having another great year with the Cardinals, receivers are going to benefit, and the last two games Nelson has done just that. Injuries have depleted the wide receiving core in Arizona and Nelson has stood up as the next man up. He has seven receptions for 212-yards and one touchdown in his first two games for the rookie this season. He was a fifth-round draft selection from UAB. His come out party though was against the Cincinnati Bengals as they had no answer for him. His four receptions for 142-yards and one touchdown was a superior game against one of the better defenses in the NFL. His long was a 64-yarder that he scored on. He is notably the third wide receiver, so once Michael Floyd returns, Nelson will be buried. It was going to be no secret that Danny Amendola was going to be a huge weapon for the Patriots when Julian Edelman went down with his injury. The only question is how long will he stay healthy? In the last two weeks, Amendola has caught 19 balls for 196-yards but zero touchdowns. This is Amendola for you owners. Danny Amendola is the player that will need to gain 400-yards before he sees a touchdown. His size hampers him down by the goal line. As long as Edelman is out, however, keep plugging him in, as he will continue to gain close or over 100=yards. What was once magic is now an illusion for Ryan Fitzpatrick. His last four games have been very uneventful, and once what looked like a strong playoff contender is fading fast into oblivion. In Fitzpatrick’s last four games, he has five touchdowns and four interceptions. 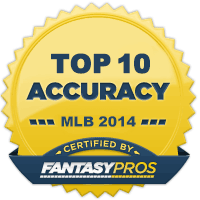 These are the type of numbers we recognize as fantasy owners from the elder traveling quarterback. The Jets are struggling right along with him. They have lost four of their last five games and falling quickly out of the playoff race. Just like Ryan Fitzpatrick and the Jets, Latavius Murray and the Oakland Raiders are also falling off a cliff. The Raiders in their last seven games have only won two of them. Murray in those seven games has 458-yards rushing on 105 carries with two touchdowns. The 4.3 yards per carry average is encouraging, but his touchdowns are just unrecognizable. On top, his reception numbers are poor as well. He only has 26 on the year. Last Sunday, the Detroit Lions hosted the Oakland Raiders, and Latavius Murray became cat food. His only saving grace for fantasy owners was his first touchdown in three weeks, but he netted nothing when it came to the receiving department. 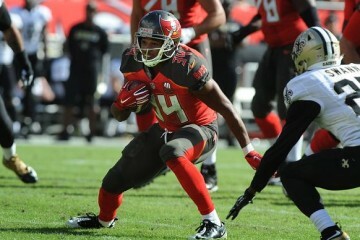 DeMarco Murray had an adequate game against the Buccs last Sunday. He was able to get 64-yards on 13 carries for a yards per carry average of 4.9, the issue is his yards per carry doesn’t translate into fantasy football points in most leagues. Murray also cost the team in the turnover department as he fumbled the ball. He was held without a touchdown for the second straight game, and third if you count the Thanksgiving game. Against the Lions, Murray was even worse. Detroit allowed just 2.1 yards per carry average, and he didn’t catch a single pass. Now count three straight weeks without a score and four of the last five without hitting pay dirt. The Eagles have only won one of the last five games. It’s been a long haul for the Eagles and Murray since the Giants game on Monday Night Football. 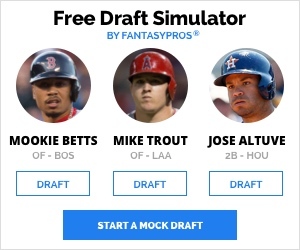 Somebody might want to test to see if A.J. Green is allergic to the end zone. He has one touchdown since week three, in which he took out the Pittsburgh Steeler’s secondary for an 11/118 slash line. Not to mention that it was his only double-digit reception and the only time he has had over 100-yards receiving since week three as well. Against the Cardinals, he could only manage four receptions for 79-yards. Not to take away his effort as Arizona has a strong defense, but, his team put up 31-points, and Green was left holding an empty bag. It is not going to get any easier for Green this Sunday, as he and the Bengals will be facing the tough St. Louis Rams defense. A.J. Green will be looking to get into the end zone, and Cincinnati will be trying to snap their two-game losing streak. Jarvis Landry has been one of the most consistent offensive threats for the Miami Dolphins, except for lately. In his two games, he has only 11 receptions, which is low for a player averaging close to seven receptions a game. Not only that he has scored only once in the last four games. It won’t get any easier for the Dolphins as they face the New York Jets on Sunday. Landry has been listed as questionable this week, but if he does play, Jarvis Landry won’t have to worry about facing the island of Darrelle Revis.